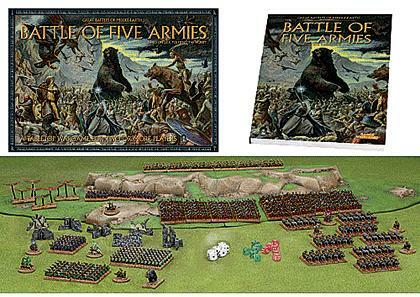 This is a new game from the folks who make Warhammer and the other Lord of the Rings Miniature games. This game is self-contained and is separate from the other LOTR games. Based on the final battle in The Hobbit. Available summer 2005 for around $80 retail or 50 GBP in the UK.